Dogs and cats aren't always known for getting along, but when they do, the combination can be absolutely delightful. 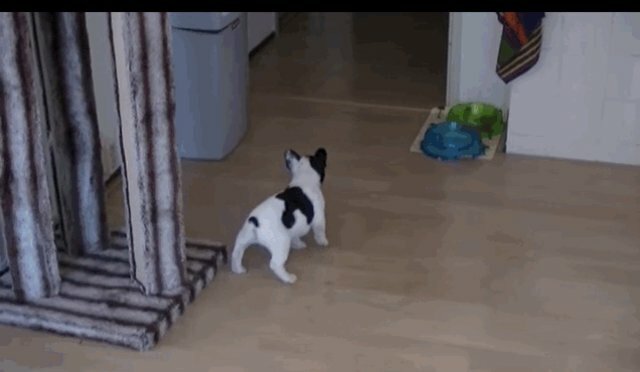 Cats and dogs can even become pretty good pals! 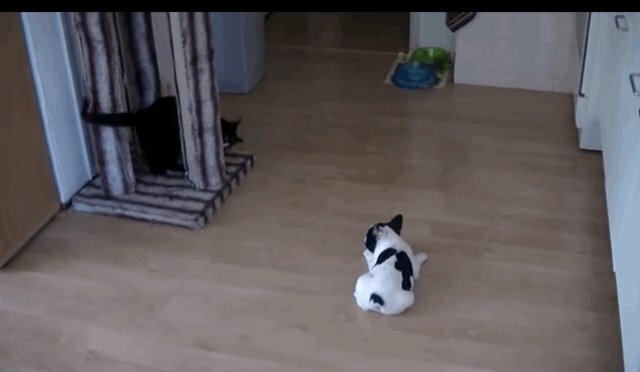 This cat and his French bulldog little brother have found that it's much more fun to play than it is to fight. The bonus? 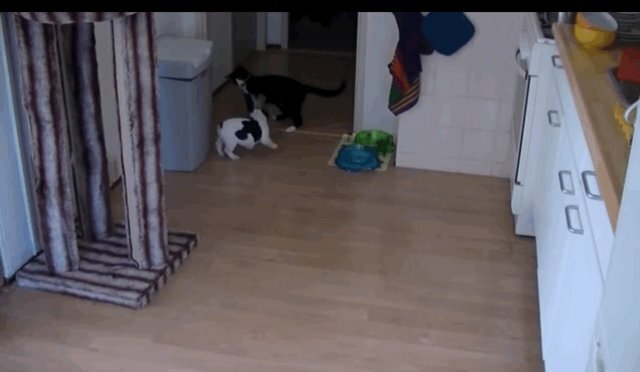 They get to practice their pouncing and pawing, of course. 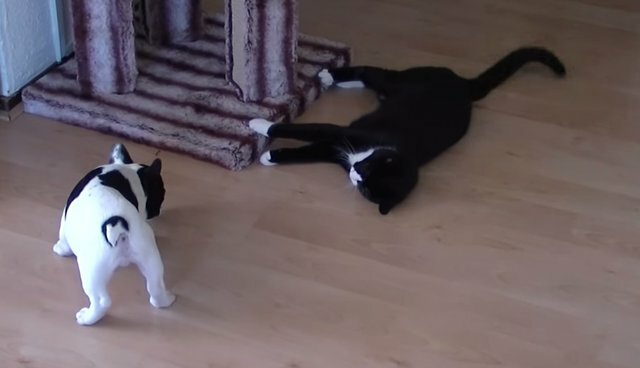 You can tell the two are playing because the cat flops over with his belly exposed, which is a sign of trust in felines. 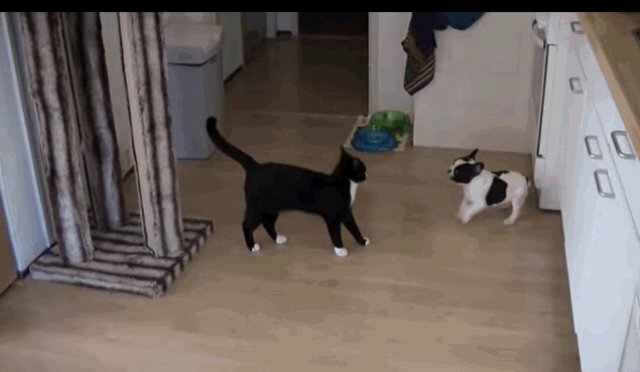 Cat prefers the sneaky ninja approach when it comes to play-fighting. Occasionally, it helps to take a breather for a moment - that way you've got the element of surprise on your side. Playing hard all day is tiring business, though! Gotta take a water break before jumping back in the action. Cat understands the importance of rehydration, though, and is totally cool with waiting until his buddy is ready to play again.